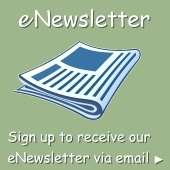 TwinEagles | Bonita Springs, Estero, Naples, Fort Myers Beach FL Real Estate | Marie Pimm PA Realtor. Representing U.S. and International Buyers and Sellers in the purchase and sale of investment or personal property. Marie is a skilled 1031 Exchange Realtor. Heralded for its country club lifestyle and pristine natural setting the beautiful 1,115-acre gated golf community of Twin Eagles located in Naples FL caters to the golf lover, offering two 18 hole championship golf courses, as well as homesites that are integrated with the area’s lakes and natural landscaping of native oaks and cypress. Twin Eagles offers other outdoor amenities, too, including tennis and community pools, along with the camaraderie of an elite club life at its 47,000-square-foot clubhouse. Kinross, Lake Estates, and Dundee are the final three single-family home neighborhoods to be released for sale within TwinEagles, and offer exquisite views of the community’s golf courses, lakes, and preserves. The Kinross, Lake Estates, Dundee neighborhoods join an array of new home product choices at TwinEagles that ranges from carriage homes beginning in the mid-$200’s to estate residences over $2 million, including golf membership. For those who love resort living and the game of golf, TwinEagles offers the classic country club lifestyle and the ultimate golf experience. 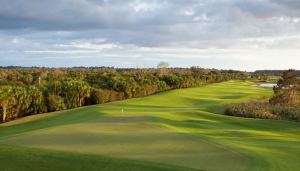 Designed by Jack Nicklaus and his son, the Talon Course is widely regarded as the top residential golf course in Southwest Florida. Designed by Steve Smyers, the Eagle Course has a challenging historical design with modern yardages and was named “Best New U.S. 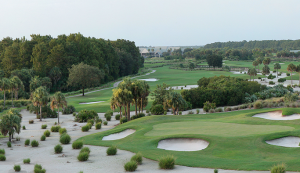 Private Course of the Year 2012″ by Golf Magazine. From your home at TwinEagles, you are just minutes away from the art and culture of the Philharmonic Center, the first-class shopping, dining and art of downtown Naples, the botanical gardens of the Naples Zoo and the breathtaking beauty of the Corkscrew Sanctuary and Rookery Bay Reserve. Naples also boasts highly-rated medical and healthcare facilities. Add the sugary, white sand beaches, endless water sports, fishing, boating and beachcombing provided by one of the world’s best sandboxes and calmest seas and you have a lifestyle that most people will only dream about. Spending time in Naples is a decision that no one ever regrets. The 6,430 square foot fitness center is adjacent to the pool and includes men’s and women’s locker rooms and areas for aerobics and yoga, as well as an expansive fitness hall that house’s state-of-the-art equipment. Outside of the center there are Har-Tru tennis courts for day or night use. Cheshire – first floor 1654 sf plus a 230 sq.ft covered lanai and 2-car garage, from $256,990. Tourmaline – second floor 2297 sf plus a 230 sq.ft covered lanai and 2-car garage, from $309,490. DUNDEE: A neighborhood of 61 single-family one- and two-story floor plans homes by Minto. The 7 home designs ranging from 2,642 to 3,811 a/c sq.ft. on 62′ by 135′ home sites. Extremely private cul0-de-sac neighborhood featuring water, preserve and golf course views. LOCKFORD: Single Family homes on 62′ Lots – 2 home styles by Minto – from $541,000 – The Prestwick Grand – 2905sf and Turnberry Grand – 3811 sf. WISTERIA: Single Family homes on 65′ Lots – 7 home styles by Minto and Stock – 2840 sf to 3158 sf – from the $500’s. KINROSS: Single Family Homes by Lennar – 7 home styles ranging from 1,649 to f2,828 a/c sq.ft – from the high $400’s to low-$600s. WICKLOW: Single Family homes on 75′ Lots by Stock. Now sold out. HEDGESTONE: Single Family Estate homes on 90′ Lots by Arthur Rutenberg, Divco and Stock – 5 home styles 3438sf to 3616 sf from the $900’s. LAKE ESTATES: 19 exquisite lakefront home sites 110’by 150’with spectacular long-lake water views. Minimum 3,500 sq.ft. residences from $1.5M to over $2M including golf membership. Lake Estates residents will enjoy shoreline fishing in beautiful natural surroundings. Please do not hesitate to Email or phone me (239) 770-3383 for floor plans and further details.